Another week, another Weekly Nibble! This week we're ready to celebrate National Guacamole Day, a new Mexican brunch, $1 oysters, and more. Mexican Independence Day (Sept. 16) is on Sunday this year and the new Cancun Grill Doral is launching brunch just in time for the festivities. Diners can enjoy a build-your-own quesadilla station, unlimited margaritas and live mariachi entertainment to celebrate. Pricing is $28 ++ for brunch and $35 ++ for brunch and unlimited margaritas. With summer being at it's all time peak and the temperatures soaring close to 100 degrees, sighting seeing in Wynwood can leave you a little hot and thirsty. Instead of wasting your time at different bars waiting for a drink, GK Bistronomie came up with the perfect solution to help you cool down! GKB which is known for their exotic and one of a kind Peruvian cuisine has taken their cocktail menu and bar to the next level by creating a “Grab & Go” Bar. Essentially this "Grab & Go" Bar is making it easier for everyone walking around Wynwood to take a cocktail bag with them and be able sip wherever they want. All cocktail bags are freshly made on the spot and guests have the choice of choosing between 11 different cocktails such as the Lynchburg Mule, Stone Sour, and Cucumber Breeze. Classic cocktails are also available such as a refreshing Aperol Spritz. Each cocktail bag is priced at $12. 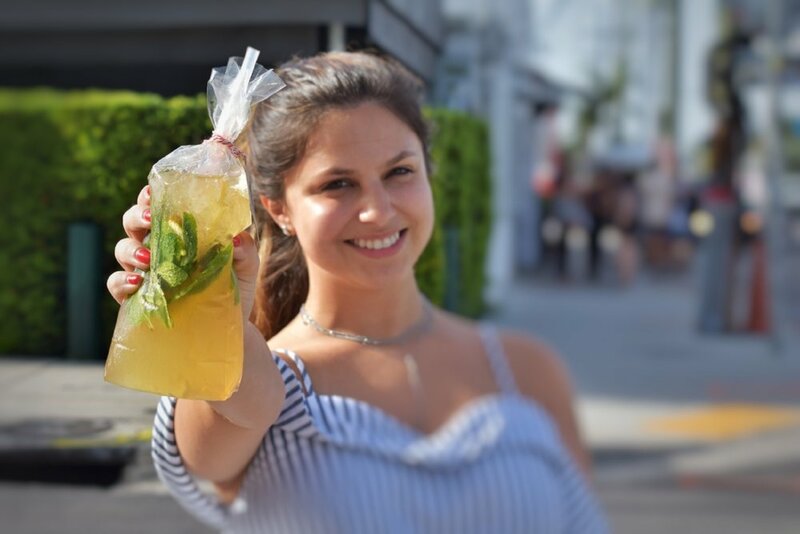 For the entire month of August and September, GK Bistronomie will be offering a special on the cocktails bags: Buy one and get the second one 50% off when you post a photo on instagram and use the hashtag #gkbwynwood! ETARU Hallandale, as the acclaimed oceanfront Japanese restaurant launches a monthly Sushi Masterclass. 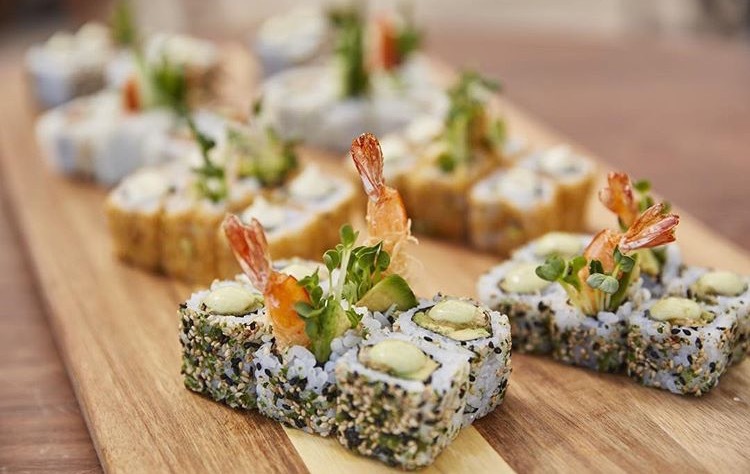 Perfect for a date night, girls’ night out, office outing or just because, the Sushi Masterclass will offer guests an interactive culinary experience in a beautiful, beachfront setting. Launching on Thursday, September 6, and continuing the first Thursday of the month thereafter, the class is priced at $75 per person or $150 per couple. Limited to just 20 people in in order to create an intimate and memorable experience for every guest, the class gets underway at 6:30PM at the restaurant’s long communal table. Upon arrival guests will be directed to their place at the table – with mise en place set up to create two of the restaurant’s signature maki rolls. Executive Chef Luca Spiga will take guests through the paces, creating the rolls step by step while enjoying ETARU Saketinis. After the rolls have been created and consumed, the renowned, picture-perfect ETARU Dessert Platters are served for the group to share. Guests will receive their very own ETARU swag bag to help them recreate the evening at home – contents include a custom ETARU apron, custom bandana, a sushi mat, chopsticks and sake bottle. To reserve a spot for the first masterclass, guests may call the restaurant and arrange with the reservations team. For future classes, booking will be available through Eventbrite. Large groups can book one-off private events through the catering and events team. Minnow Bar, the recently opened clear spirits cocktail den, launches its weekend Deep Blue Debut, a unique and savory lite bites menu from the upcoming Seawell Fish n’ Oyster. Developed by Seawell’s executive chef Julian Garriga, Deep Blue Debut is a preview of the upcoming coastal American seafare restaurant and a great compliment to the gin house’s herb-infused craft cocktail menu. Available on Saturdays and Sundays from 11:30AM to 4PM, Deep Blue Debut features some of Garriga’s soon-to-be favorites such as $1 coast to coast oysters, Seawell’s signature lobster roll served with choice of melted butter or mayonnaise and chips, smoked local catch fish dip with house pickles and saltines and the decadent muffuletta on a sesamo bun with salumi, provolone and giardiniera. Minnow Bar’s unique clear spirits menu is available during Deep Blue Debut including favorites such as Sea Level, Hey Roxy and Rey Mambo. With over a decade of South Florida culinary expertise, executive chef Julian Garriga will lead the culinary program at Seawell Fish n’ Oyster with his energetic approach in the kitchen and his appreciation for local flavors. Chef Garriga’s menu will highlight tried-and-true classics alongside entrée selections that play with finfish, shellfish and non-seafood items, offering a broad range of flavors that will appeal to all palates. For the holiday, when you take a picture with Lolo’s surfboard, post it on Instagram and tag @LolosMiami, you get an order of guac on the house! Enjoy F&B specials too – Chilled Crab & Shrimp Salad for $17 and Mexican draft beers for $4.